The rotating array of animals on the unassuming book cover hint at the wonders you will find inside. All 26 feet of them. Take a look through the initial side of the 38 pages, and you will be treated to a look at each of the geologic periods Earth has gone through. Colorful pages and a brief description serve as a guide for young readers learning about the history of our home. On the reverse side is a timeline of Earth’s 4.6 billion years from the Hadean Age all the way to the present Halocene epoch. Make sure you have plenty of room as the accordion style pages stretch out to over five times the length of the average reader. It would make a fantastic display for the classroom or child’s bedroom. A Brief History of Life on Earth by Clémence Dupont unfolds in dramatic fashion in this amazing concertina picture book that takes readers from 4.6 billion years ago to the present day. It’s difficult to grasp the enormous changes life on Earth has undergone since it first came into existence, but this marvelously illustrated book makes learning about our planet’s fascinating history easy and entertaining. In an accordion style, the series of pages take readers through every major geological period, with bright artwork and detailed drawings. Opening on lava-filled oceans and smoking volcanoes, the book unfolds, era by era, to show how life evolved from tiny protozoa and crustaceans to dinosaurs and mammals. Fully expanded to 8 meters (26 feet), this spectacular visual timeline is a very impressive panorama that reveals evolution in all its glory. Each page is brimming with illustrations that readers will turn to again and again. A celebration of life, this extraordinary and beautiful book illuminates the history of Earth for young readers in an unforgettable and delightful way. CLÉMENCE DUPONT is an illustrator living in Strasbourg, France. This is her first book. Do you have a middle grader searching for books? Here’s a great list: THE MOST EXCITING MIDDLE GRADE BOOKS of 2019. My TBR list just got a healthy dose of new titles. The ALA Office of Intellectual Freedom has released their list of Eleven Most Challenged Books from the past year. Interesting… and quite a few MG titles. Are there black kids on MG book covers? You bet. Check out the selections here. That’s all for now. I’ll be back Friday with a review of A BRIEF HISTORY OF LIFE ON EARTH. It’s TAX DAY in the good old USA. I already finished my 1040, giving me time to write a review of HELLO THERE, I’M COMING HOME by Laurie B. Arnold. Click the tax icon for my post and the tax form for all the other features and reviews below. Natalie Aguirre at Literary Rambles returns to the MMGM line-up with another special feature. She has an interview with Tonja Drecker and a giveaway of MUSIC BOXES. Michelle Mason at Musings of a Young Adult Writer is also back this week with a review of RUBY & OLIVIA by Rachel Hawkins. June McCrary Jacobs at ‘Reading, Writing, & Stitch-Metic’ features a non-fiction oversized picture book for MG readers, The Wonderful World of Clothes, written and illustrated by Emma Damon. Joanne Fritz hasn’t forgotten about National Poetry Month. She features it today at My Brain On Books. Maria Antonia at Of Books, Photography, and Tea has a review of Checked by Cynthia Kadohata. Patricia Tilton at Children’s Books Heal reviews Because of the Rabbit by Cynthia Lord, a book full of heart. Andrea Mack at That’s Another Story joins us again with her take on Blended by Sharon Draper. Dorine White at The Write Path has a review of A Good Night For Shooting Zombies by Joca Jacobs. Janet Smart at Creative Writing In The Blackberry Patch shares her thoughts on two books she read this week: The Little Riders by Margaretha Shemin and Ghosts by Raina Telgemeier. Suzanne Warr at Tales from the Raven spotlights Harriet the Spy, by Louise Fitzhugh. 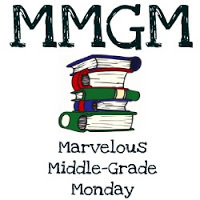 Karen Yingling at Ms. Yingling Reads has another great MMGM post. Be sure to check out today’s feature and all of her reviews the past week including August Isle by Ali Standish. I’ve read most of them, but it’s nice to see a compiled list of 8 OF THE BEST MIDDLE GRADE BOOKS ABOUT SIBLINGS. The Bologna Children’s Book Fair is over, but the hottest properties were Middle Grade books. So great to hear this news. That’s all for now. I’ll be back Friday with a review of WILDERNESS—EARTH’S AMAZING HABITAT. It’s National Zoo Lover’s Day! Before visiting one today I have a review of CHARLIE BUMPERS VS. THE END OF THE YEAR by Bill Harley. Click the Hippo for my post. Find more features and reviews below through each blogger’s zoo animal. Welcome back to S.A. Larsen at Writer’s Alley! She shares an excerpt from the new middle grade release ROGER MANTIS by Tom Allen Brosz and there’s a GIVEAWAY! June McCrary Jacobs at ‘Reading, Writing, & Stitch-Metic’ features Forest Fairy Crafts Through the Seasons, a craft book designed for MG boys and girls. Joanne R. Fritz at My Brain on Books joins the cheering section for THE LAST LAST-DAY-OF-SUMMER by Lamar Giles. Completely Full Bookshelf recommends Smile by Raina Telgemeier. Patricia Tilton at Children’s Books Heal reviews Tears of the Mountain by Michelle Isenhoff. about the ancient orient, prophecy, and the destiny of a boy to change the world. Beth Mitchell at Imaginary Friends has a review of To Night Owl from Dogfish by Holly Goldberg Sloan and Meg Wolitzer. Rosi Hollinbeck features The LOST GIRL by Anne Ursu with a review and GIVEAWAY. Rosi also has some not to be missed links for her writing friends. Author Stephanie Robinson at Fairday’s Blog features the book PAPER THINGS by Jennifer Richard Jacobson. Dorine White at The Write Path has an author interview with Lamar Giles, author of The Last Last-Day of Summer. Karen Yingling at Ms. Yingling Reads has another informative MMGM post. Be sure to check out today’s feature and all of her reviews the past week including Charlie Bumpers vs. The End of the Year. Janet Smart at Creative Writing in the Blackberry Patch reviews The Key to Extraordinary by Natalie Lloyd.